Grief Support Publications – Herman Meyer and Son, Inc.
Herman Meyer and Son, Inc. is continually adding literature to its library. We keep numerous copies of some resource materials so that we are able to give them to the public. However, other items are available to you at the funeral home only. We have listed the availability of each item after its description. While some are out of print, a simple search on the internet will probably allow you to purchase most items. 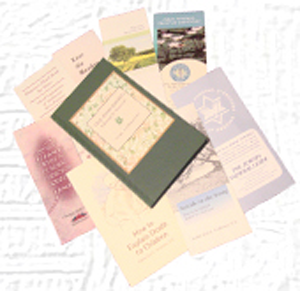 If you have questions about a particular book or pamphlet, either send us an email or give us a call. We will be happy to answer your questions. If you would like to visit us to read or possibly borrow a book, that would be fine. We just ask that you call first to verify someone will be in the office and the item is still available.